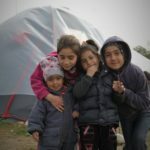 IVI are passionate about supporting those who have been displaced from their homes and forced into refugee camps due to circumstances beyond their control. According to the UN as at OCT 2016, there are 60,000 Syrian refugees stranded in Greece. These people have fled their home country to keep their families safe from war torn areas. There are so many needs in supporting these people. Volunteering in refugee camps is a big decision as you very likely be witness to some highly confronting things. 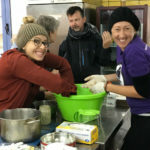 Refugee volunteers need to be stable individuals who are equipped to deal with physical and mental suffering as well as language barriers and completely different cultures and values. When deciding where to go, consider the climate, any language skills you may have. IVI team up with quality local NGO’s who we trust based on years of dealings. These local organisations understand how to operate within the camps and surrounding community and are run by passionate local individuals who know how to get things done in a safe & humane manner. How can I help and where will I be placed? For those called to physically assist in the various refugee camp support teams, IVI team up with organisations focused on refugees. These organisations are local heroes doing incredible things for vulnerable cases including nursing mothers, newborns, handicapped, the maimed by war casualties etc. The very many cases of human struggle are so heart breaking but also inspiring to see and hear first hand the stories of strength and overcoming of adversity.